Catholic Bishop of Sokoto Diocese, Most Rev. Matthew Kukah, yesterday, said he was worried that Nigerians now behave like orphans. He also urged the Federal Government to pay closer attention to decay of vital institutions in the country. 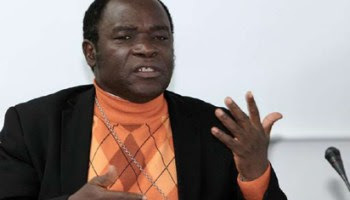 Kukah, who spoke at the 2017 lecture/award ceremony organised by the Epiphany Azinge Foundation, in Abuja, maintained that the rot in key institutions in the country, especially universities, was a major factor why the image of the country collapsed before the international community. He said the country would not progress if those in leadership positions continued to sacrifice merit on the alter of tribalism and nepotism. He noted that youths in the country have become disillusioned to the point that they were willing to travel abroad even at the risk of losing their lives. Kukah said it was regrettable that those at the helm of affairs and the citizens were no longer willing to make sacrifices for the betterment of the nation.